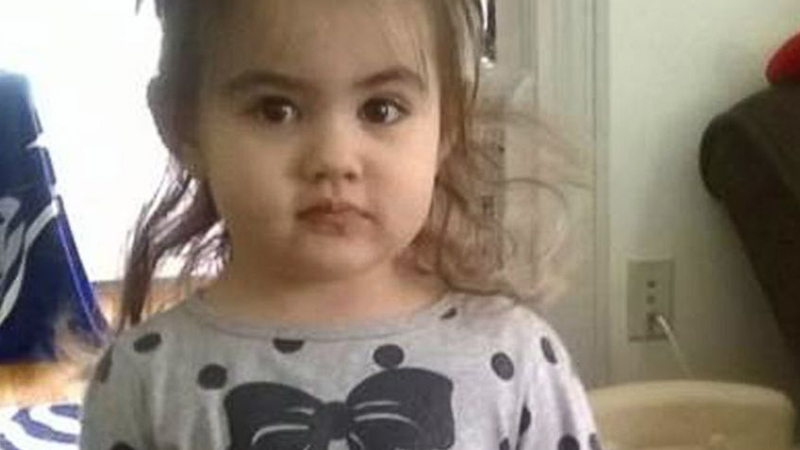 Man convicted in murder of toddler who washed ashore in Mass. BOSTON -- A man was convicted Monday of murder in the death of a 2-year-old girl who became known as Baby Doe after her remains washed up on the shore of a Boston Harbor island. Michael McCarthy was charged in the 2015 killing of Bella Bond, his girlfriend's daughter. A computer-generated image of the girl was shared by millions of people on social media after she was dubbed Baby Doe by authorities trying to determine her identity. The jury had been deliberating in McCarthy's case since June 20. It found him guilty of second-degree murder. Prosecutors had charged McCarthy with first-degree murder, but the judge said jurors could also consider two lesser charges: second-degree murder and involuntary manslaughter. Under a second-degree murder conviction, a person is eligible for parole after serving 15 years in prison. McCarthy, 37, will be sentenced Wednesday, prosecutors said. "Any lost life is heartbreaking and tragic, but any time someone so young and so innocent is lost, it magnifies the pain and the sorrow to awful proportions," Suffolk District Attorney Daniel Conley said. McCarthy's attorney, Jonathan Shapiro, called the verdict a travesty of justice. "Today, there is no justice for Bella Bond," he said, adding that they will appeal. Bella's mother, Rachelle Bond, and McCarthy were arrested in September 2015 after Bond told a friend McCarthy had killed her daughter. Bond pleaded guilty to being an accessory after the fact for helping McCarthy dispose of the girl's body. Under a plea deal with prosecutors, Bond is expected to be released after McCarthy's trial, serving less than two years in jail. She is scheduled to be sentenced Tuesday. McCarthy's lawyer said Bond was the killer. He called her a "monster" who made up a "web of lies" to put the blame on McCarthy. The trial included testimony about the girl's short and tragic life. Bond and McCarthy were heroin addicts. A friend testified that McCarthy would lock the girl in a closet to discipline her. He said McCarthy had been obsessed with the occult for years. "By the time of her death every adult in her life was distracted from her care and well-being by drug addiction," Conley said. Bond testified that on the night Bella died, she walked into the girl's bedroom and saw McCarthy leaning over her and punching her. She said she saw McCarthy punch her in the abdomen so hard she bounced off the mattress. "He said it was her time to die, she was a demon," Bond said. McCarthy's lawyer aggressively cross-examined Bond about why she didn't call police or report her daughter's death to anyone. She claimed McCarthy threatened to kill her. The defense also said prosecutors "made a deal with the devil" in offering Bond time-served in exchange for her testimony against McCarthy. But Conley said Bond's testimony was supported by independent evidence that she did not know about.